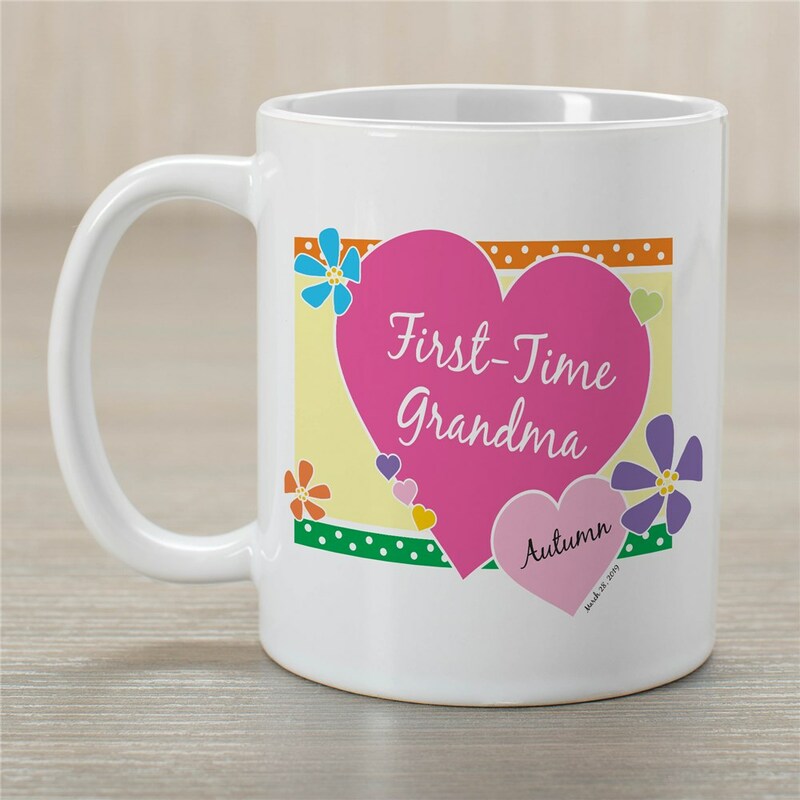 Grandma will enjoy her morning coffee with a warm, loving feeling in her heart when she drinks from our First-Time Grandma Customizable Coffee Mug. She will fondly remember the very first time she saw her most precious grandchild. Our Personalized Mugs are available on our Dishwasher safe Ceramic Coffee Mug and holds 11oz. Includes FREE Personalization! Personalize your First-Time Grandma Coffee Mug with any title, any child's name (printed in heart) and birth date. Very cute! Grandma loved it! We have a great selection of Personalized Grandma Gifts, Personalized Sister Gifts & Personalized Friendship Gifts. For all your Personalized Gift giving needs shop at GiftsForYouNow.com today!